If you’ve ever played Minecraft, you know that most things are made out of blocks that are supposedly a cubic meter each. Steve, the protagonist of the game, has 36 holding spaces, each of which can hold 64 blocks. So apparently Steve can hold 2,300 cubic meters of material while running, jumping and climbing around the world. Basically that’s a cube a bit more than 13 meters on a side. Steve doesn’t even carry a backpack, so somehow he must be carrying it in a special pocket which can compress matter to a small volume. But it gets better. 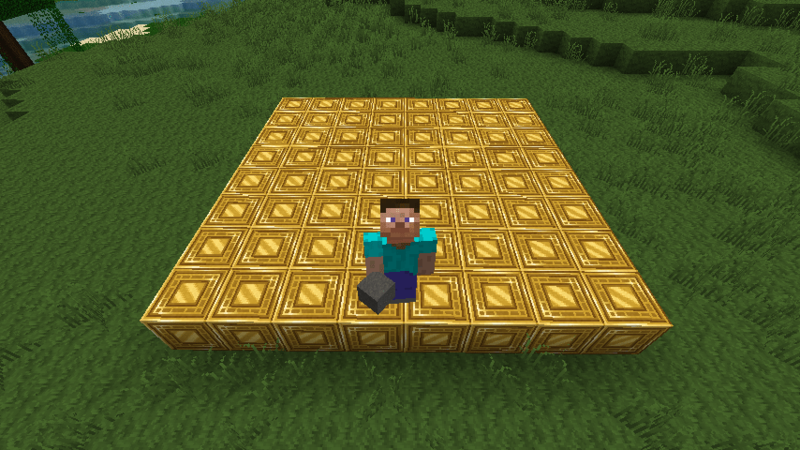 The heaviest block in Minecraft would be one of solid gold. Since gold has a density of 19,300 kg per cubic meter, that means he can carry more than 44 million kilograms in his pocket. If you figure his pocket is only about 10 cm on a side, that means the density of Steve’s magic pocket is about 44 billion kilograms per cubic meter. That’s roughly as dense as the upper layers of a neutron star. Something to think about when you are deep in a mine and have to drop something to pick up that diamond you find.